Fact that five out of 100 residential property owners are foreigners or non-residents has a significant effect on Vancouver property market. Many believe that foreigners twisted the housing market in this city. There were also outnumbering alarm calls and alerts for politicians to solve this problematic situation. Unfortunately, even with Statistics Canada report there are no clear answers about this, only debates should Vancouver focus more on foreign buyers and motivate them or do a quick fix about it to help its autochthon population. Also, there are other problems regarding this topic like confusedness between non-resident ownership and immigrant residents who own property in Vancouver. For many people, immigrants are the main reason of creating less housing affordability. All in all, It is a two-sided sword for sure. As there will always be people who are afraid of foreign capital that inflate the house prices there will also always be those who believe in a general increase of income and growth by foreign investing. This is why it is always the best to find some non-discriminatory approach including both sides. Canada presents a really attractive market for foreign investors thanks to its stability in the property sector including a low dollar. Montreal, Toronto and Vancouver are leaders when talking about this. 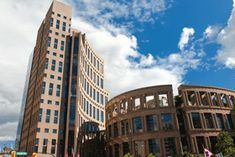 One of the largest foreign investments making over $1 billion was buying the Vancouver’s Bentall Centre. We may say this shows real significance and certainty about Canadian real estate investment. Vancouver especially presents a really attractive location for Asian population. Some even say it presents a financial safe heaven, especially with no foreign buyer tax regarding commercial properties. Vancouver also presents one of the cities with lowest downtown office vacancy rates across the wide North American region. Foreigners see real potential in Canada, especially Vancouver and they want to use it, simple as that. Selling rather than leasing in Canada attracted people all over the world. The situation in Vancouver shows that many people are using residential real estate to invest in their retirement plan. There is no great solution about getting high returns while purchasing a property but there is a strategy of being quality informed about average rental rates, vacancy rates and neighborhood amenities which will surely help anybody make right decision while minimizing any risks. Also, facts like knowing tax implications and where to get the right mortgage or finding a trustworthy real estate company will surely get anybody on the right track. It is important to have a decent budget, getting informed about price ranges, get a wide picture of real estate trends and not rushing while achieving your perfect goal. Real estate markets all over Canada are keep growing and growing number of population overseas is having a goal to be a part of it. This should be used in the best way how for foreigners also for authentic Canadians which made a foundation of this golden possibility. It can get pretty hard for a newcomer of Vancouver to manage the urban structure of its outnumbering neighborhoods. Of course, there are many information spots and guides which will provide great help around Vancouver. More to be exactly, there are 23 neighborhoods between the east and the west part of this city. Main Street is a center line dividing these two huge parts. From far history west side was always much wealthy then the east side and still today there is a big effect of working/middle class in the east part. This difference is also often mentioned in cultural aspect also where you will often hear about much better public schools in the West part. One of the reasons people consider this cultural difference is also a much bigger number of immigrants making the multicultural east part. So, these are some basic facts that play significant role in property price difference between West Side and East Van. Renting and buying is at much more higher rates than in East Van but this doesn’t necessarily mean some properties in East Van will not be expensive. Just remember that all these neighborhoods Vancouver offers contain great segments like beautiful parks, modern medical clinics, huge libraries and helpful community centers. The selection of the homes was never bigger in the last few years but it is surprising how the sales are way below average. Sales dropped significantly for the first few months of 2018 comparing to last year. Prices of the houses are not falling and yet demand is dropping significantly. Experts say the number of sales has never been this low and that it was kind of expected. This was complex dropping including speculation tax drop, foreign investment drop and tighter mortgage rules which really contributed to this situation. Many even gave up on the idea that these properties will ever be affordable again. The housing market has seriously decreased from August. Listings of the housings are growing and prices still going up. Vancouver is not only in a problem with crushed housing market but also increased global trade, stagnant wages, growing poverty and huge immigration. Basing on the information between income and home price Vancouver could become perhaps the most unaffordable city in the wide region. All the eager buyers including with lack of affordable home sales and renting are leading demanding to townhouses, apartments and condos. This demand is really getting serious because rising prices and the decreased offer made students turn to condo market. Some people are even calling this a period of price discovery. There can be found sellers that are forming their prices according to their expectations or just even lowering prices due to need of quick selling because of personal reasons like illness, divorce and similar. So we are getting to the conclusion it is best to get every helpful information you can before getting yourself in some serious property investment in the housing market of the west side of Vancouver. Believe it or not but it is already happening. Luxury properties are also bought and sold with cryptocurrency in growing figures. To keep up with the rest of the modern world and system for buyers is important to keep in touch by holding the options open while young buyers are growingly focusing on cryptocurrency as the only source of value. 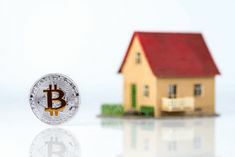 The unpredictability and instability of cryptocurrencies before made a lot of people in real estate markets staying on the side. Today this is decreasing and both sellers and buyers are doing more and more business in crypto as it is becoming more and more mainstream. This has shown to be a very successful way to build a diversified portfolio, the best way to diversify their holdings and getting future risks to the minimum. There is no law that will stop anybody buying any property in Canada with cryptocurrency. There are thorough reviews of crypto by regulatory bodies which are making it all properly controlled. Also, there are many cautions made to both, buyers and sellers to be careful and protect themselves while using cryptocurrency. Some lawyers even say, presenting it really simple, that every purchase is possible as both parties agree to it. Rising presence of the cryptocurrency in the real estate market is making outnumbering advantages and bringing modernization to Canada’s and the world’s global economic system. Huge information exchange made by the Internet brought the power of the blockchain technology and dynamic data manipulation. Blockchain technology has the power to be tailored in order to eliminate the third party while doing business with real estates. Third parties are usually surveyors, fee payments o delays. Smart contracts and dynamic applications are making crypto possible to be used in a wide range of industries. Expenses are really reduced because of minimal transaction fees for the cryptocurrency. Safety is on a higher level because there can’t be any money leaving from your account until your consent while using a credit card you have to trust your bank network, IT supplier and the merchant. Owners are being in total control of their asset information. International use saves a lot of time and money while making people able to transfer their money much easier and efficient across the world. One thing in all this is definitely for sure, the face of the real estate market all over the world is changing severely by the impact of the blockchain. Even better, blockchain purchases are showing as more secure by completing and recording transactions to exist forever. Governments are feeling more and more relaxed by this idea and the adoption of it will only rise in the future. Understanding the trends was always one of the important parts of a proper strategy to lead country successfully. They just have to follow the development of the modern age where consumers are being more educated and general audience is finding cryptocurrencies easy to use. This growing encouraging of crypto from the side of the realtors is helping a lot with making it more mature and accepted. This is new but the well-known term for describing a specific kind of city living. Vancouver presents with its structure a really active, dynamic and busy town with a modern, urban lifestyle. Tall and slim tower are giving the touch of density while low buildings and other construction are giving some needed air and light with beautiful views. This is also brought by many parks and wide streets with public spaces providing people a real comfort in their fast living town. Liveability is something this town holds on top of its list. In Vancouver it is important people shop, play and work in most healthy way possible. This is brought by the urban environment. It brings people integration and support while enjoying their lively streets with their fellow residents. Density is allowed in a just proper amount to achieve the needed growth while keeping the beauty of surroundings. Many nature elements like trees, parks and landscapes together with some urban elements like lightings and walkways are perfectly combined in this city. There is continuous transportation besides the fact this city is minimizing the dependence of its residents on cars. This is also achieved by great functionality of this town. Thanks to high-quality urban design this city kept its beautiful and attractive side making every visitor remember it for a long time. This is a city with a strong character. Landscape and location confronting to huge oceanic space show its balance and stability creating city like no other in Canada. Mosaic and rich history of this town made this evolved and various architecture style. It is really easy to glance over this cityscape. No matter you start from tallest skyscraper in the British Empire or some fairy tale household you will find each property has its own story. But keeping safe its historical part didn’t stop this city to develop some new styles like in West Vancouver. The sites over here were usually irregular and rocky providing some most beautiful ocean views and forest spaces. This part of the town needed some new elements to take advantage of this beautiful site aspects. Traditional styles are fulfilled with some modern geometrical shapes and open-plan arrangements. To use all that beautiful natural light many skylights and windows are used in new, modern projects. West Coast Style Houses are today known as a result of great architectural challenge perfectly embedded between extensive ocean and power looking mountains with lots of forests. East Vancouver is also resulting with outnumbering different styles of houses from different periods of time throughout the history. Starting from Early Vernacular Style homes in many stages of repair, boxy shapes of Edwardian style homes, Vancouver Craftsman Style as a more decorated version of classic Vernacular Style to early Cottage Style homes as better looking siblings of Mid Century Vernacular style. It is important when you visit Vancouver, no matter if it is for business or pleasure, it is important not to rush. Take your time, stop and look at all this powerful architecture which will tell you a lot of stories. Breathtaking views, green surfaces and tower-podium architecture really make an extraordinary picture of this town. Full of contradictory, Vancouver presents unbelievably developing the city. This city has become most admired in the world thanks to being a place of great livability and aesthetic pleasure. Between high-density residential neighborhoods and many sky reaching towers you will also have a chance to enjoy beautiful views of the harbor, ocean and green mountains. Cars here are the last idea so residential and visitors can have a full comfort while walking and observing remarkable environment of Vancouver. Most important fact of this perfect urban plan that all world’s developers and planners are trying to copy is the values that make the foundation of it. Local government planners are trying their best for decades to achieve a harmony in their city. They don’t see just breathtaking environment sites, great wide corridors or perfectly planned bike paths. They see a vision with a soul which provides to their nation a great balance between nature and modern urbanism keeping the ability of constant creative solutions. Heading through the 21 century many of them are asking the same questions about will Vancouver be able to be so different from other cities all over the world. Impact of digital technology is making bigger resistances and confrontations between building lower density neighborhoods and high-density projects. One of the great tests in near future for residents will be the plan of the redevelopment of the West End. This should increase the residential density with more affordable housing for the younger population, providing wide sidewalks with narrow roadways with supporting people to walk more. This idea is making people worry a little for now because too much affordable housing is not helping the middle class and it could lead to the destruction of some long-term values this city was keeping for decades. For now, these small confrontations are keeping this town honoring its residents with maintaining the urban-village lifestyle but also designing a city which keeps in touch with modern age offering many opportunities. One of the main things Vancouver is keeping on mind all the time is an environmental issue. It is very important to keep the balanced and healthy connection with outdoors. Many cities all over the world are still just talking about this topics but Vancouver is rapidly taking actions and creating projects for this purpose. This green building plan with sustainable urban planning and construction broadening is creating well known “Vancouver model” all over the world. Some of the main targets to reach the Greenest City goals are to implement an effective waste reduction in all City facilities, to reduce greenhouse gas emissions and fossil fuels and create successful practices and policies of buying local food. Outnumbering options regarding real estate, urban building and architecture in Vancouver make many different opinions and views about this city. For sure it presents a remarkable coastal city and a home at the same time. 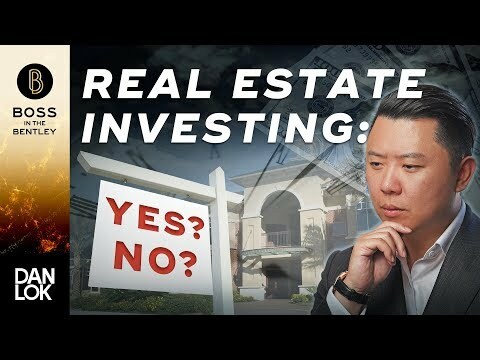 Real Estate Investing – When Should You Invest In Real Estate?